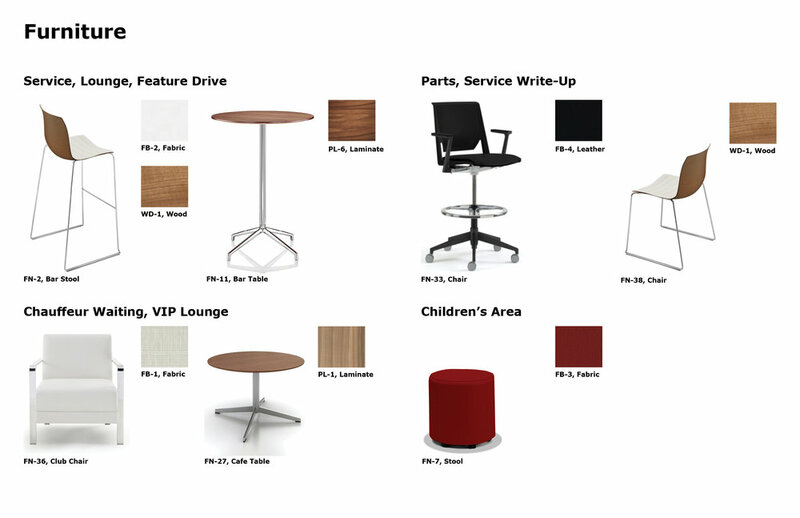 While at Interbrand Design Forum I worked on two large rollout projects. 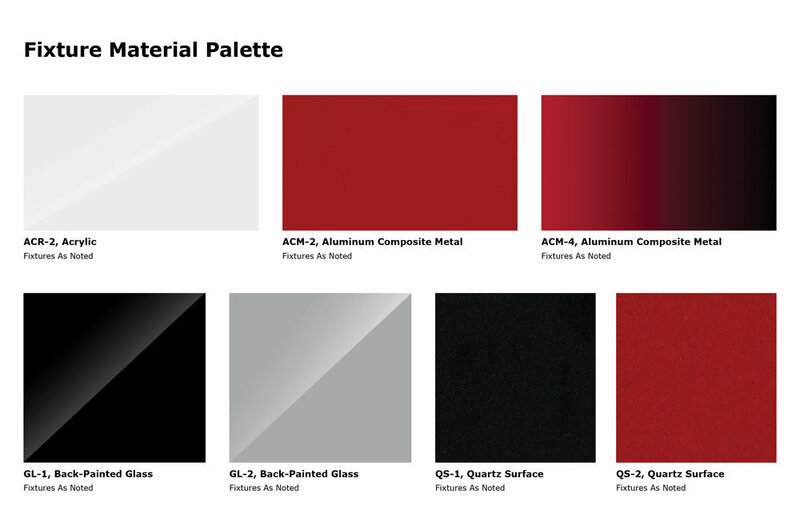 For Nissan I was in charge of all of the materials selections and specifications. 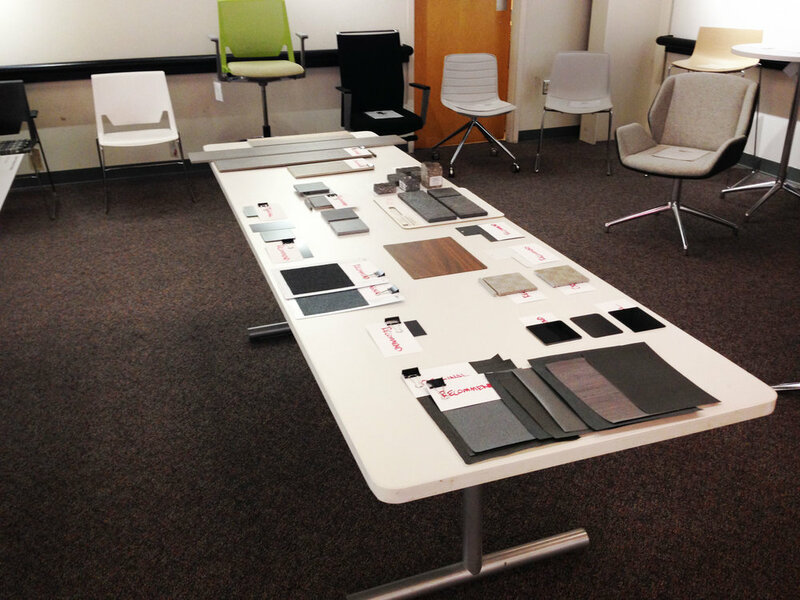 I spent a lot of my time talking to vendors, making giant material boards, and I got the opportunity to present it all to the client. 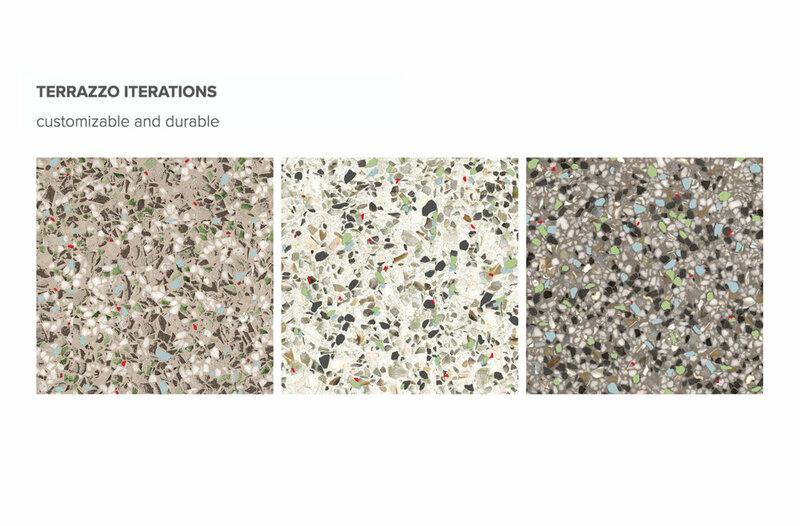 For Wawa, the floor needed to be customizable and extremely durable because it has high customer traffic so I developed a mixture for a custom terrazzo floor. 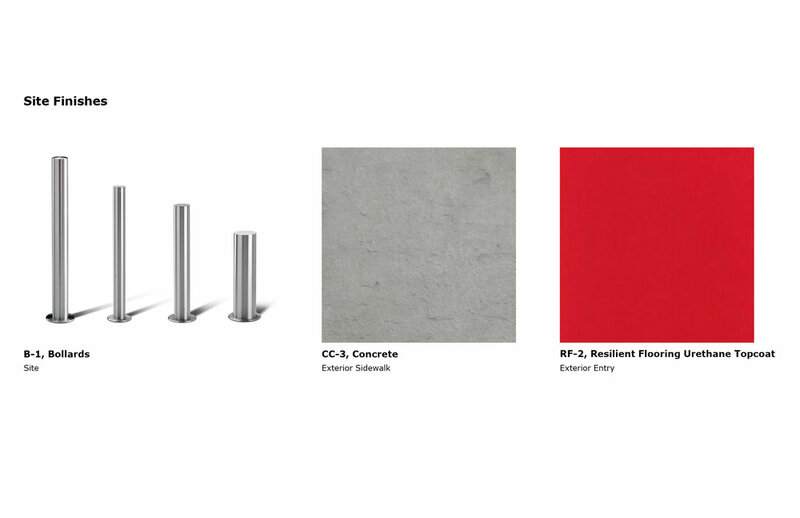 MY ROLE: Medium Retail / I was in charge of all of the materials, finishes, and furniture for the Global and North American brand standards. My job involved constant contact with vendors and the client. 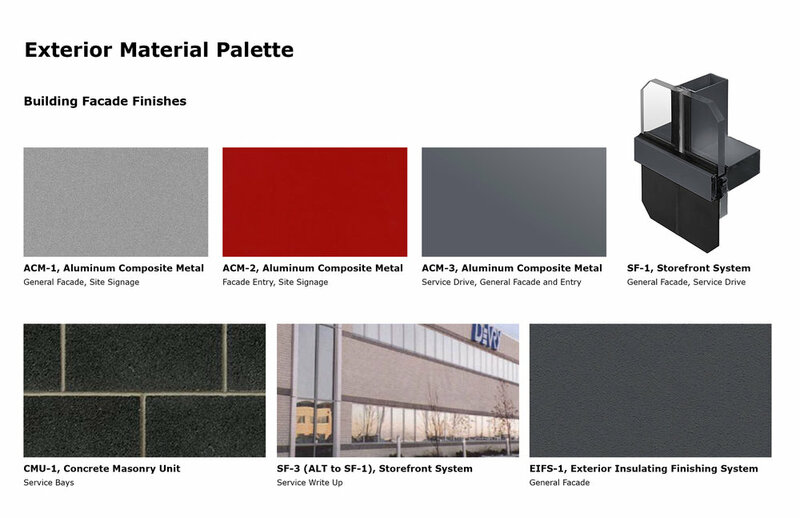 Below are the material boards that I curated for this dealership re-design. 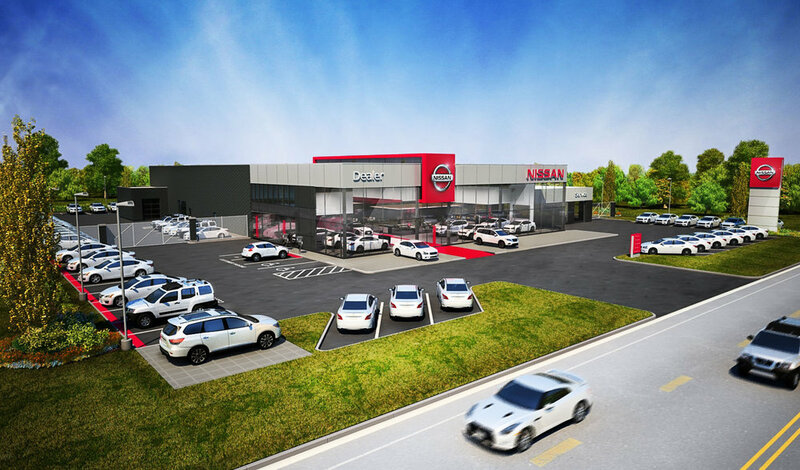 EXCITING NEWS: The first location of Nissan's Retail Environment Design Initiative (NREDI 2.0) opened in September 2016 in Duluth, GA.
Click HERE to see images of the new dealership! 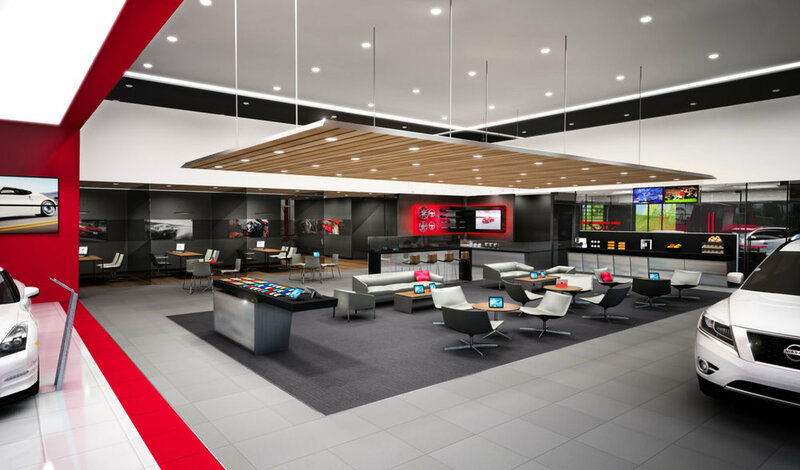 MY ROLE: Small retail / This was a complete store and environmental graphics redesign for the well-loved east coast convenience store and gas station, Wawa. 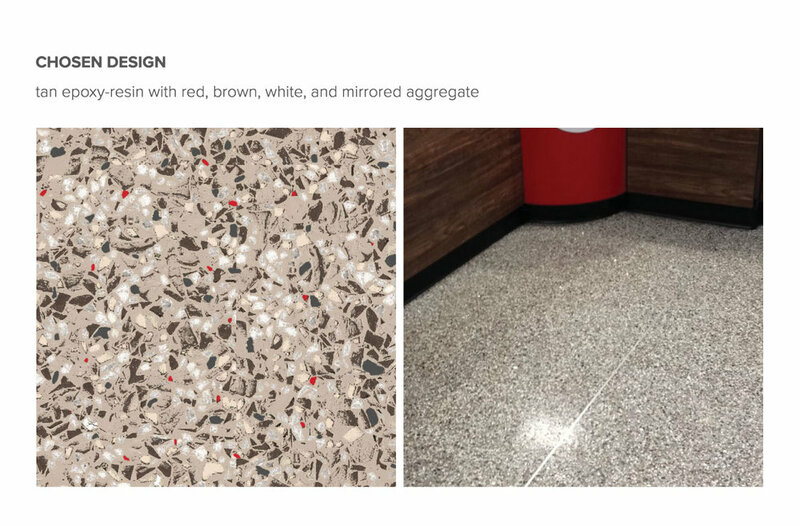 I was in charge of creating a custom and highly durable floor for Wawa's new store design rollout. EXCITING NEWS: This rollout has also begun construction! There are many Wawa's near my hometown and it has been really cool to see my work come to life. The most important thing that I learned while working on these projects was how to manage many moving parts and how to take on new responsibilities. 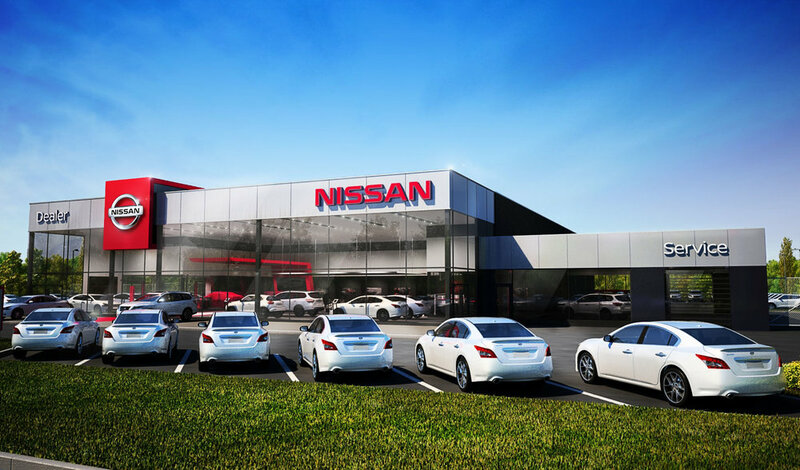 Interbrand was going through a transition so I had to take on a larger roll, especially in the Nissan project. Managing the material specifications and ordering samples was intense and I learned so much about that stage of a project. 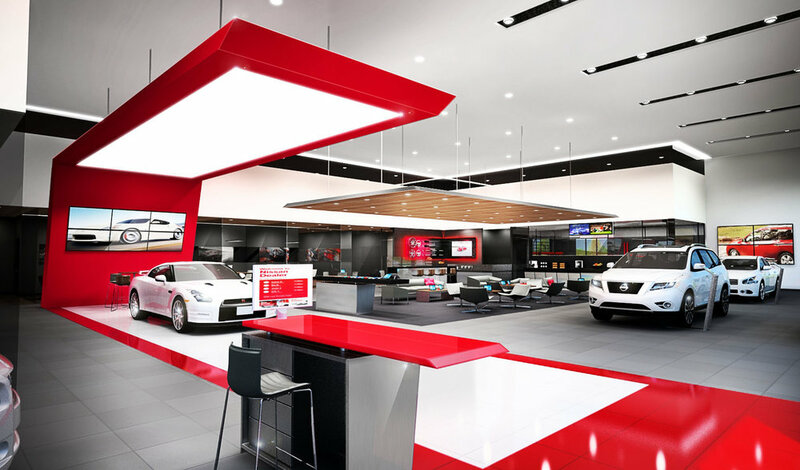 When the Nissan client visited the office, I really enjoyed getting to show the them all of the materials and furniture pieces we chose for them. It was a great experience to work with the client directly.